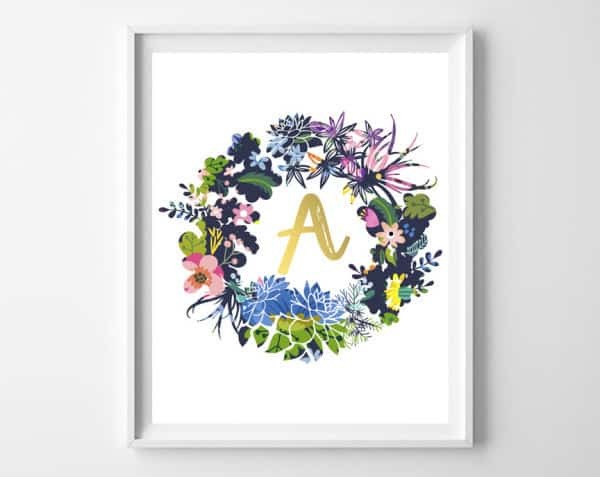 These watercolor floral wreath initial printables just feel like spring to me. 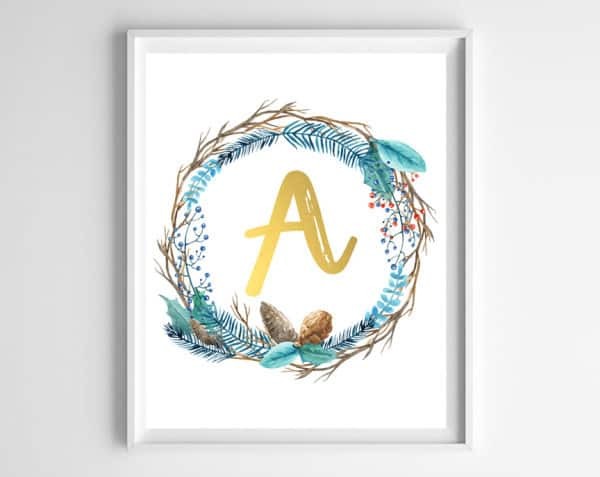 I love the soft shades of aqua, red, green and blush, and I love the distressed gold-foil style font! These would make a great addition to your warm-weather mantle or gallery wall. Have a friend with a birthday coming up? One of these initial printables framed and wrapped would make a meaningful (yet inexpensive) gift! Just click on the initial you’d like below, save to your computer, and send to your favorite photo printer. Files print best at 8×10, on either matte cardstock (my choice) or glossy photo paper. 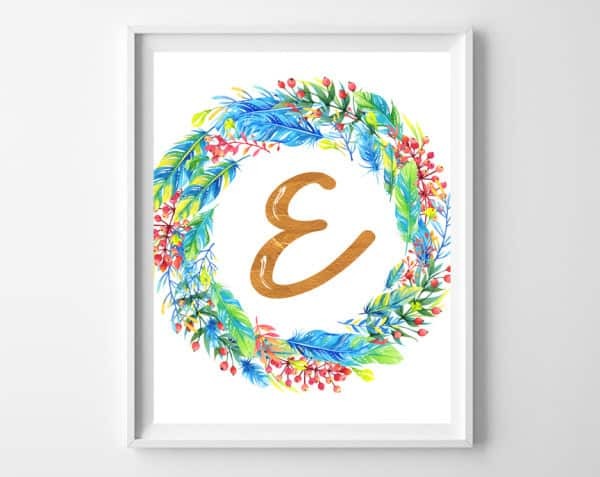 These initial printables feature a whimsical twig, feather and berry wreath in shades of aqua, red and brown. 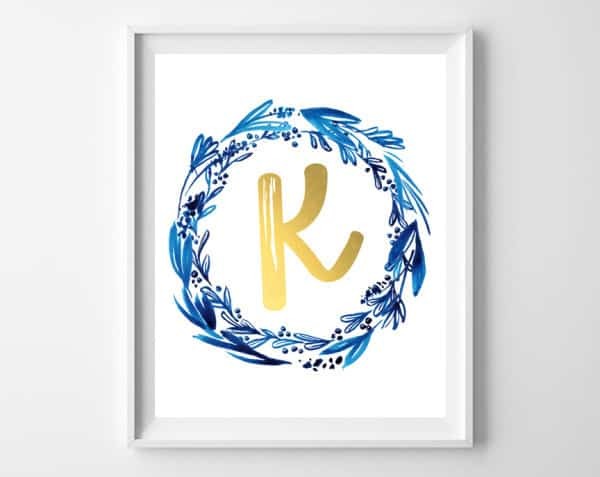 These free indigo & gold initial printables are also a fun and modern option! This copper foil printable style is another winter-themed option that would also work year round! 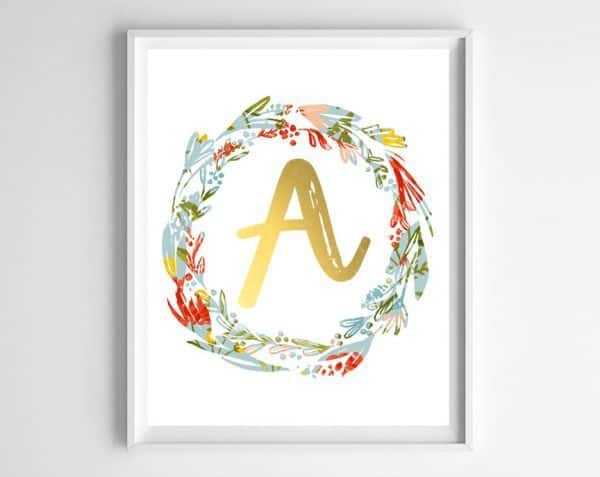 This floral wreath printable is a reader favorite, having been pinned over 33k times! Have a little girl? 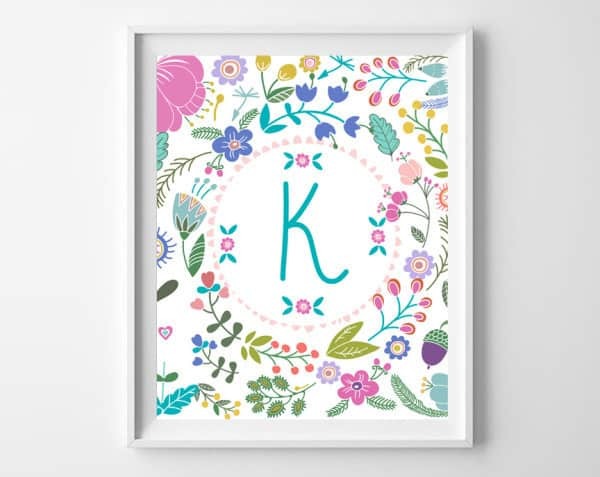 These floral initial printables have a gorgeous color scheme and fun design! And these gray distressed printables are both shabby and sweet. 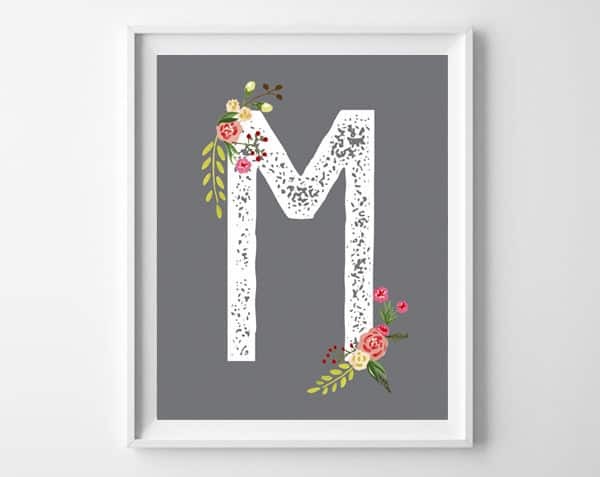 Thanks for reading all about my floral initial wreath printables! Have a lovely day! Thank you for these beautiful prints!! !